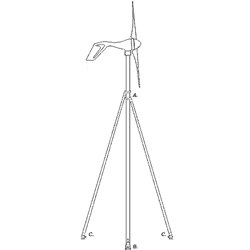 any other wind generator in its class.The Air Breeze is the latest generation of Air — with more than 100,000 sold in 120 countries — the world’s most popular small wind generator. Improved battery charging: Previous AIR designs required 300-400 amp hour battery banks so the trickle charge of the Wind Power Generator turbine could be adequately absorbed. The 'Air Breeze'’s charge controller periodically stops charging, reads the battery voltage, compares it to the voltage setting and if the battery is charged, it completely shuts off all current going to the battery. This function is performed within a few milliseconds. The closer the battery is to reaching its full state of charge, the more often the 'Air Breeze'’s circuit repeats this action. 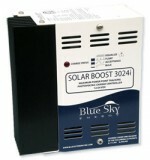 This means any size battery bank from 25 to 25,000 amp hours or higher can be charged safely. When the battery has reached its charged state, the 'Air Breeze' will slow to an almost complete stop. 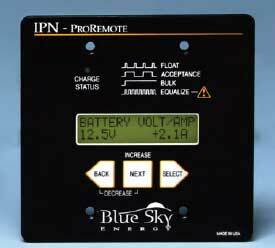 Only when the battery has dropped below its voltage set point will it startup and resume charging. The Benefit: Extended battery life, no overcharging. Lower stress design: 'Air Breeze' limits power on the input side of the electronics by controlling the torque from the blades. The power no longer has to be dissipated by the electronics resulting in lower stress on the circuit, bearings and other materials. 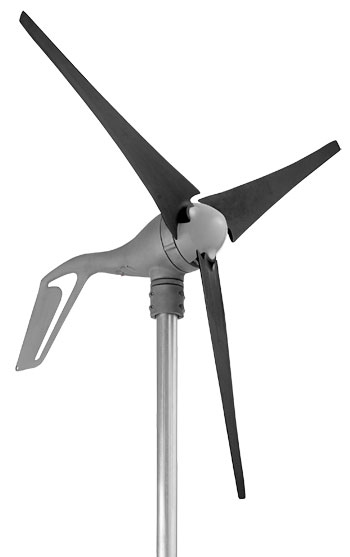 Furthermore, stress on Wind Power Generator turbines occurs primarily in high winds. Under these conditions, the electronic stall design reduces the blade speed to 600 rpm, thereby significantly reducing turbine and tower loading while still producing power. The Benefit: Greater confidence in turbine operation in high Wind Power Generator conditions without manually operating the stop switch. Note: A manual stop switch control is an available option for the 'Air Breeze'.